Owls are just so cute! It always amazes me how you can depict an owl with just the eyes and a beak and a general birdy body shape. Look at these gorgeous needle felted owls, distinctly different but still unmistakeably owls. (Hint to my family: I love both of these designer's work if you are ever looking for present inspiration). I've only made three dimensional owl figurines before like the Gradu-owl and Harry Potter's Hedwig. 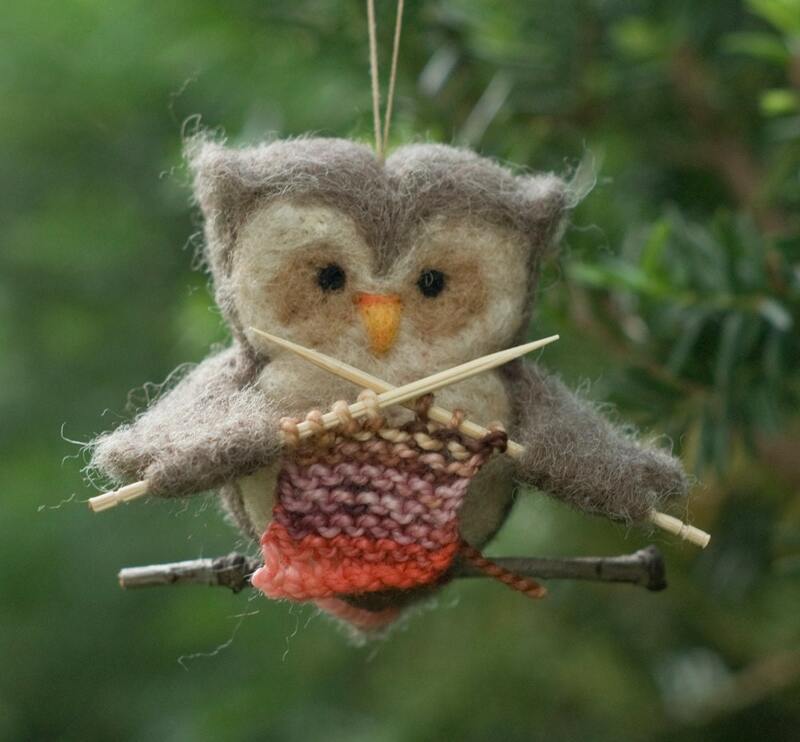 But lately wearable owls are popping up all over the fibre world. It all began with the original O w l s jumper designed by Kate Davies. 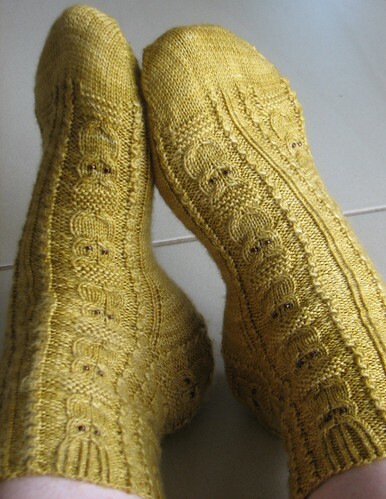 It currently has 5507 projects listed on Ravelry (as of 3rd August 2012). Even though the owl cable as used in this jumper is not a new idea, going back to at least the 1950's, this jumper reminded the world of just how effective an owl cable can be. Kate the trumped it with her even cuter Owlet. So when I got my Simply Knitting magazine Issue 94, I just had to make these gorgeous Owl Mittens. These were wonderful fun to make. A real quick knit.They are knitted flat with no thumb shaping, just a cast off one row and a cast-on the next. I made two pairs in a weekend over the school holidays using up recycled 12 ply (aran weight) wool from the stash. Yarn: 12 ply pure wool (the creamy bone colour is part of a large bag bought at a moving sale at an op shop for 50 cents. The brown wool was part of a mixed bag of oddments I acquired from a clean up of someone's stash). The creamy bone mittens belong to the middle daughter Mel and the brown ones are mine. Look at my cool owl mitts! It is at about this stage that the photo-shoot degenerated into a slightly wild martial arts demonstration.